1. Trim the edges of Gardenia Wheat Cranberry Slices. 2. Using a rolling pin, flatten the Gardenia Wheat Cranberry Slices. 3. For the filling, in a small bowl combine diced white onion, corned tuna and Light Mayonnaise. 5. 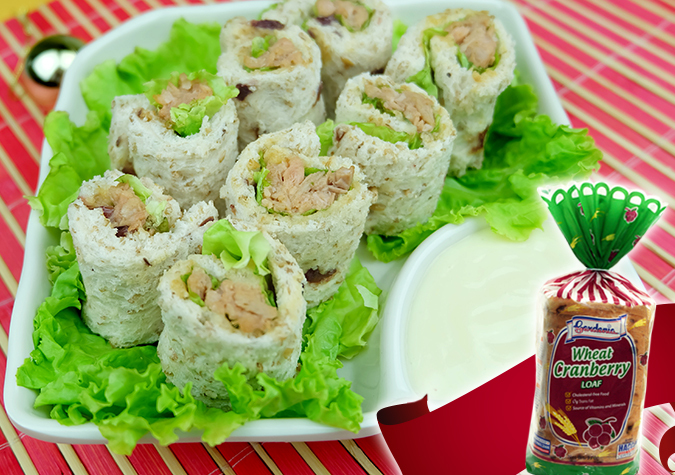 Roll the Gardenia Wheat Cranberry with it's Tuna filling. 6. Cut the pinwheel into 3.